作者: The AsiaN Editor on 18 October , 2018. OBEY is a street brand in the U.S founded by a world-renowned street artist Shepard Fairey in 2001. Fairey created OBEY clothing because he thought fashion was the most effective way in which people identify themselves. OBEY is famous for its simple but dynamic images. The brand also well represents Fairey’s ideology and philosophy by showing messages such as anti-capitalism and anti-war. OBEY’s icon initiated from his “André the Giant Has a Posse” sticker campaign in 1989. At that time, Fairey printed an image of a photo of André the Giant with the text “OBEY” on stickers and posters and left them all over the city. The campaign was an experiment of phenomenology. Fairey wanted to stimulate audience’s curiosity by displaying repetitive images. That is, he wanted to observe how people react to the word ‘OBEY’. He stated that the word ‘OBEY’ had no meaning other than to see people’s response from the campaign. 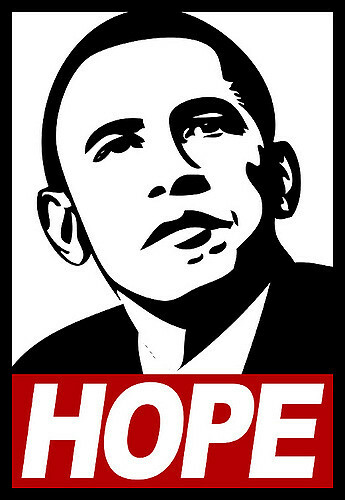 The representative artwork that made Fairey famous to the public is the HOPE poster which depicts the face of Obama in 2008. The poster was voluntarily produced by Fairey but was later used as the official image of Obama’s campaign. Some say that this poster had a profound impact on Obama’s election.